Near-Perfect Pedigreed Pandas Crossed the Pacific for You! Pandas have become a universal symbol for preserving endangered species. It is estimated that only 1,600 of these revered and lovable bears are left living in their natural environment. 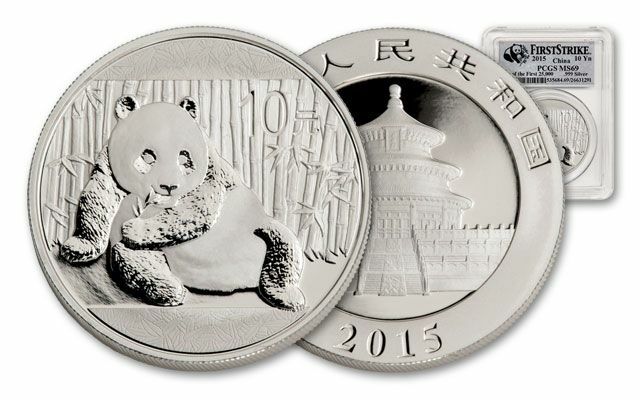 Honoring these amazing creatures, each 2015 Panda is struck in one Troy ounce of 99.9% silver and is 10 Yuan legal tender in the People’s Republic of China. 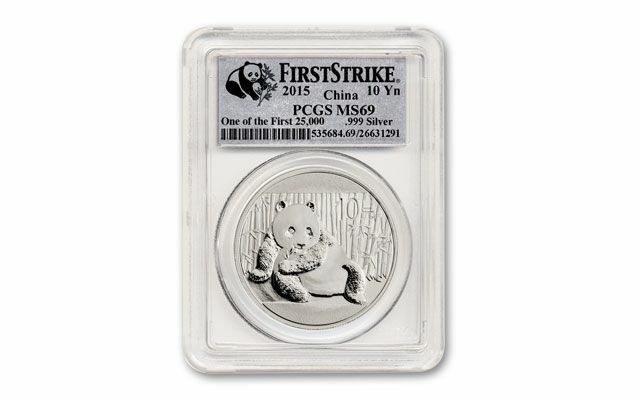 These Pandas are one of the most sought-after Chinese precious-metal coins. 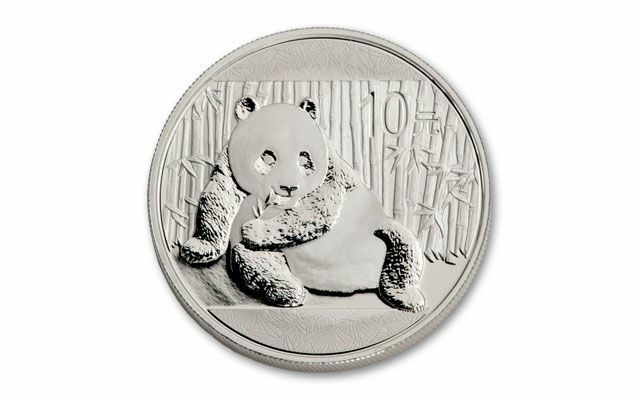 In fact, the demand for Silver Pandas has never been higher as demonstrated by increasing mintages and consistent sell-outs in previous years. Each issue is struck with a one-year-only design, and collectors want a piece of the action! 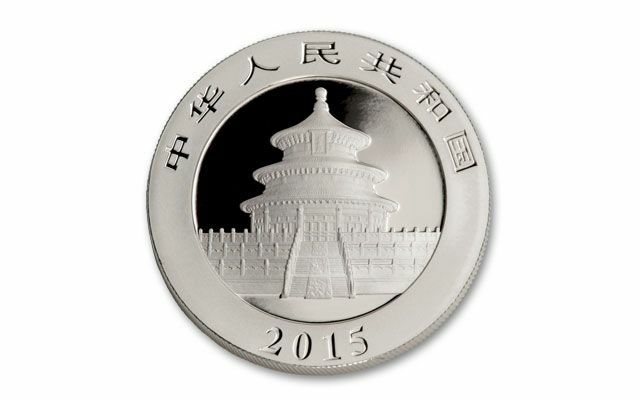 Even better, the China Mint sent these coins directly to Professional Coin Grading Service (PCGS) accompanied by an official letter from the mint certifying them as First Strike® coins. Yours comes in near-flawless First Strike (FS) Mint State-69 (MS69) condition. Don’t miss your chance to own a Pedigreed Panda. They’ll sell out fast just like their predecessors.